Manny Pacquiao lost over Timothy Bradley via Split Decision. A new welterweight champion Timothy Bradley, still undefeated american boxer. The three judges scored 115 - 113 Pacquiao, 115-113 for Bradley and 115-113 for Bradley that made him a new Welterweight champion. Timothy Bradley earns stunning, controversial decision over Manny Pacquiao. 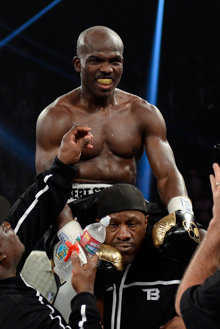 According to news, there will be rematch between the two this coming November 2012. 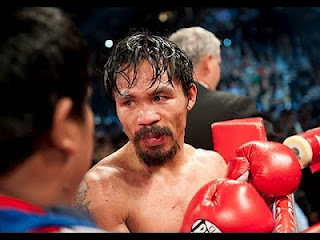 Manny Pacquiao was surprised hearing the decision and scores of the judges.